A new Facebook tool will let you review advertisers. It's just buried under a million menus. Facebook rolled out a new tool Tuesday that allows you to leave feedback about vendors and your shopping experiences after clicking on a business ad. There's a teeny problem though: The tool is buried within a series of Facebook menus. Facebook began testing the feature in the spring, which allows people to send anonymous complaints, or praise, for businesses that advertise on the platform. If a business racks up a "statistically significant" number of negative reviews, Facebook will reduce the number of people its ads reach or completely disable its account, Facebook Product Marketing Director Sarah Epps told BuzzFeed News. "No one wins when people have a bad shopping experience," she said. "It's bad for people, bad for good business, and bad for Facebook. And we’re committed to improving our advertising on our platform." 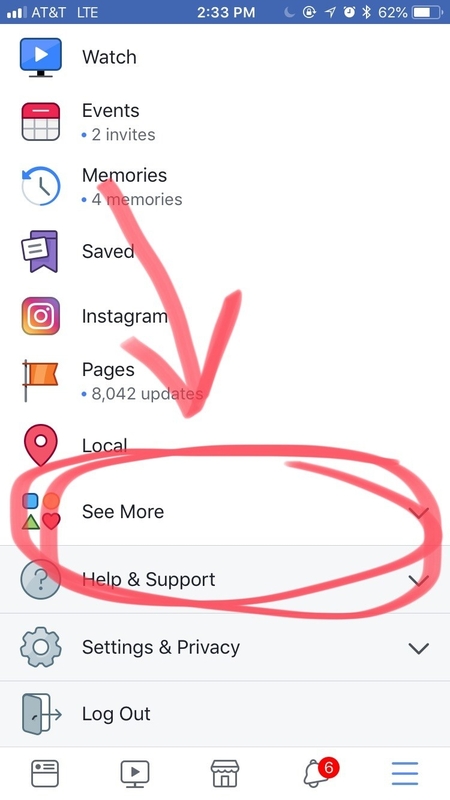 The catch is that the new feature is buried in Facebook's navigation panel. First, you must scroll down to Explore on the navigation panel (it's that menu on the left side on desktop, or the one that pops up when you click the three bars on the lower-right side on iOS mobile). Then you have to click See More. 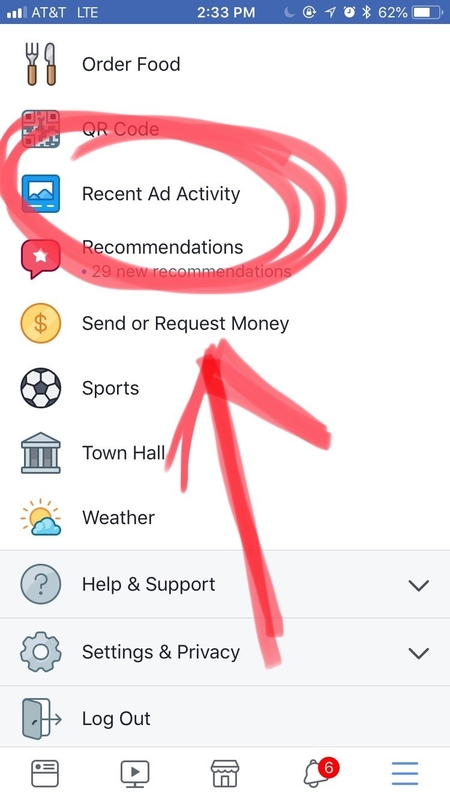 THEN click Recent Ad Activity. Voila! That goes to a page with all the ads you have clicked on. Each has a drop-down menu where you can describe how you feel about your shopping experience: satisfied, neutral, or dissatisfied. Another menu pops up asking you for more details about what made you feel satisfied or unsatisfied: Product quality? Shipping speed? Customer service? Something else, perhaps? The announcement comes after a 2016 BuzzFeed News investigation found that a string of shady dress companies, which relied heavily on misleading Facebook ads, frequently stole images from Instagram influencers or legitimate retailers to advertise their clothing. Shoppers complained the products they received were completely different from what was advertised, and some of them smelled strongly of chemicals like formaldehyde. Facebook promised to crack down on shady advertisers on its platform. In 2016, it began testing a tool that asks people to describe their experiences buying from its advertisers. Facebook's Epps told BuzzFeed News that the information the company collects from shoppers will be shared anonymously with advertisers. The feedback will appear in the businesses' ad dashboards, where they can see scores based on user ratings and areas of improvement based on feedback. "A lot of businesses want to improve. They are local businesses and this is new information that they aren’t meeting needs of customers," said Epps. "For companies that don’t want to improve, we have no tolerance and we’ll enforce against them as appropriate." Facebook said businesses that have racked up a high volume of negative reviews will see a dashboard in their accounts that include a score from one to two, and if a business' rating falls to one, Facebook will consider disabling the account or taking other enforcement actions. Facebook will review businesses' feedback every month, and if it does not improve, Facebook will decrease the number of people who can see their ads on the platform. The company said it has shared negative feedback with hundreds of advertisers globally, but the feature has not been active long enough for any business accounts to be disabled. Diana Serban, who lives in Bucharest, Romania, says she was misled by Facebook ads from a store called DressLily. She told BuzzFeed News that based on past experience, she's skeptical the new feedback feature will stamp out shady advertisers. Serban bought three items from DressLily in December 2016 "after being bombarded every day with cute stuff" in ads on Facebook, she said. But some of the items were different from what she ordered, including a pair of jeans for her son that she described in a review as "ridiculously small" and "ugly." Serban said Facebook is putting the burden on customers to do the research, rather than preventing scammers from entering the platform in the first place. Michelle Offut, the administrator of a Facebook group called "SCAM ALERT - Zaful, RoseGal, DressLily and other common FB Scams," told BuzzFeed News that she appreciates the company's attempt to root out bad actors on its ad platforms, but believes it will be a long game of whack-a-mole. "What is it going to do?" she said. "[The scammers] are just going to pay people to five-star them. You can’t stop it."